Skyler Rivera (‘18) is the Editor-In-Chief of Social Media at the Webb Canyon Chronicle. She loves journalism, baseball, and coffee. Skyler grew up with the dream of becoming the first female President of the United States, but that dream changed when she got a taste of broadcast journalism with the Los Angeles Dodgers. She joined the Webb Canyon Chronicle staff her Sophomore year as a Staff Writer and returned her junior year as the Editor of Social Media. 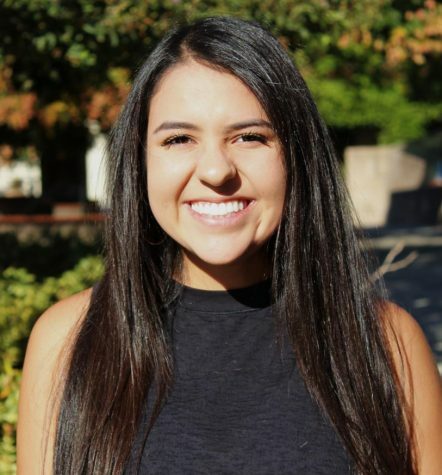 Now, as a Senior, Skyler returns as the Editor-in-Chief of Social Media, where she manages and posts on the Webb Canyon Chronicle’s Instagram and Twitter pages. Catch Skyler in the wild at a coffee shop reading baseball and figuring out how to make her Instagram (@skylerrivera) more aesthetic.